There are no villains in the piece. Crime, like disease, is not interesting: it is something to be done away with by general consent, and that is all [there is] about it. It is what men do at their best, with good intentions, and what normal men and women find that they must and will do in spite of their intentions, that really concern us. 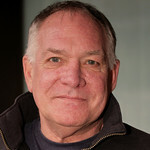 Ross Bickell has previously appeared in the Huntington's productions of Before I Leave You (2011), To Kill a Mockingbird (1996), The Merry Wives of Windsor (1990), Remembrance (1987), Jumpers (1987), and Saint Joan (1986). His Broadway credits include Noises Off, The Iceman Cometh, and A Few Good Men. 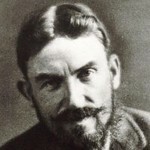 George Bernard Shaw was an Irish playwright and a co-founder of the London School of Economics. His plays Heartbreak House (2002, 1986), Mrs. Warren's Profession (1999), Arms and the Man (1993), and Saint Joan (1986) have been produced at the Huntington.